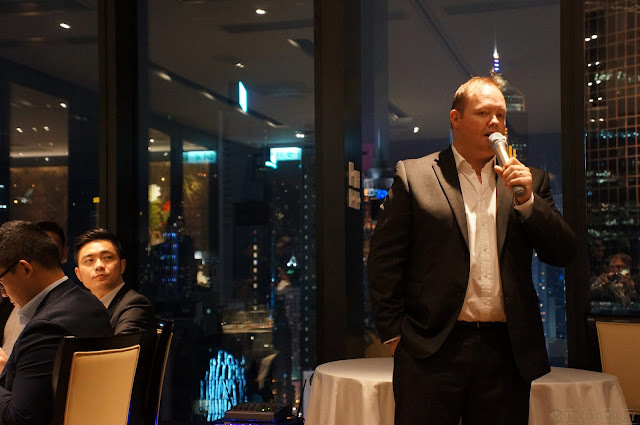 Recently Steph and I had the pleasure of attending a dinner to celebrate the official launch of sixteen new Diageo Single Malts in Hong Kong, including six classic Malts like Lagavulin 16, Caol Ila 12 and Oban 14, along with ten 2016 special releases (many of which we enjoyed in Singapore last year, and again in Sydney earlier this year). We can get caught up in tasting some crazy, old, rare and vintage whiskies on this blog from time to time (see our Instagram for regular updates of what we're drinking), so it was nice to take a step back and revisit some of the whiskies that got me into whisky in the first place (Dalwhinnie 15yo for example was the first single malt I ever bought, and Oban was the first distillery I ever visited). ..hold on, you might be thinking. 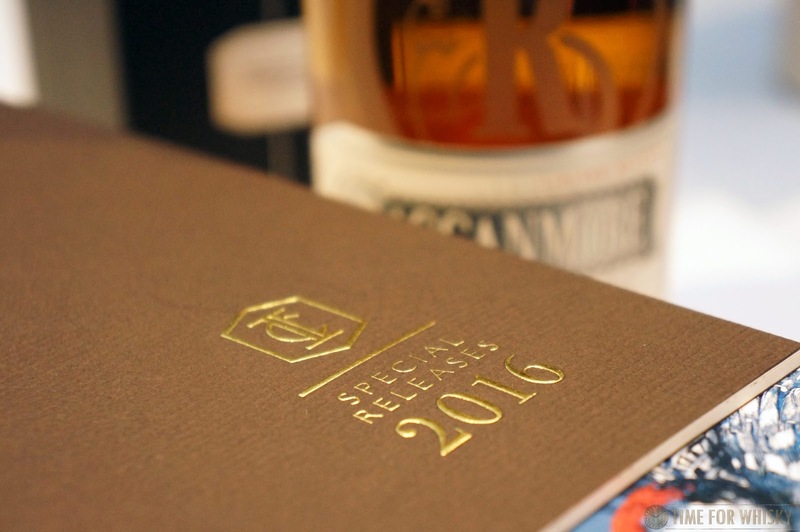 A launch for whiskies like the Lagavlun 16 and Caol Ila 12?! Haven't they been in HK for years? Well yes, but until now - not officially! 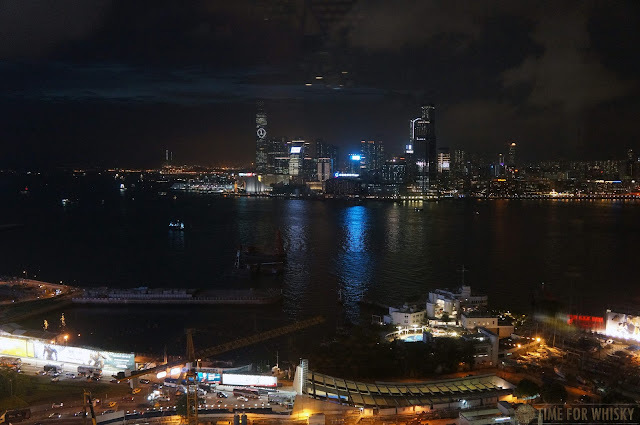 Held at Ah Yat Harbour View restaurant in Causeway Bay, the dinner was hosted by the affable Donald Colville, a man who carries the enviable title of Diageo's "Global Malts Ambassador". With six Classic Malts and two Special Releases, paired with an 8 course meal all presented by Donald, we were expecting an enjoyable night, and we certainly weren't disappointed. 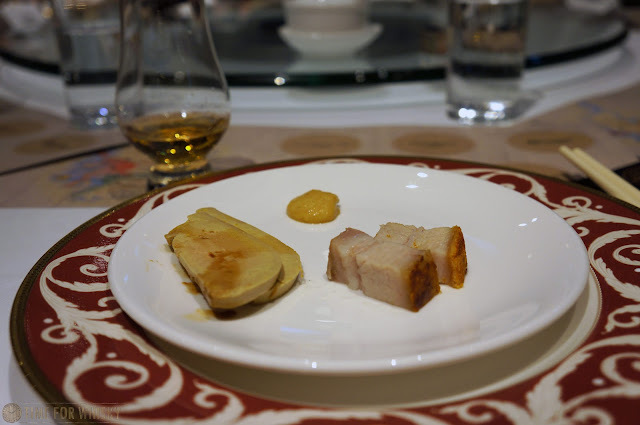 Opening with Glenkinchie 12yo (paired with Lo Shui goose liver with pork belly), Donald explained we would be traversing Scotland throughout the course of the dinner - starting in the Lowlands. To be honest, I've never been a huge fan of Lowland whiskies, but I did enjoy the 24yo Glenkinchie Special Release a few months earlier) so I was happy to try the 12yo again. Nose: Light, floral and citrusy - lemon mostly. Palate: Light and fruity. Pears, lemon, and some honey. Youthful but by no means harsh. Finish: Short length, with a slight citrus acidity. A nice enough dram (especially on a summers' day), and a great match with the pork belly (each lifting the flavours in the other), but not a whisky I'd choose over others if drinking neat. After the introductory course, Donald gave us a little background into his path to whisky, which seemed to have been written from birth, given his family owned two Campbelltown distilleries, and his Great Grandfather actually traded whisky with Alexander Walker (son of "the" Johnnie Walker)! When you hear of someone having a family history like that, coupled with their obvious love of Scotch whisky, it's hard to think of a better person to hold the title "Global Malts Ambassador". 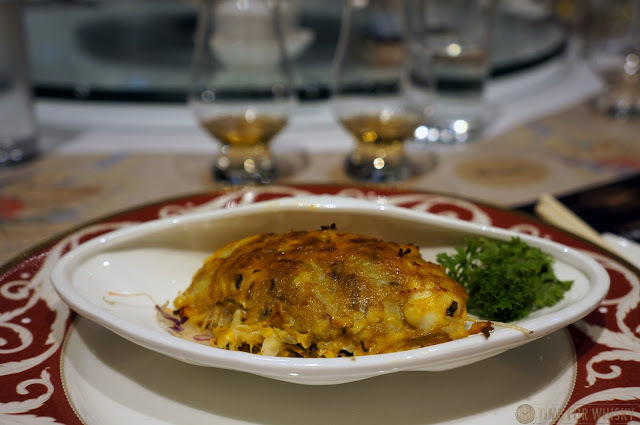 Next was Dalwhinnie 15yo, paired with Baked stuffed crab shell. Describing the new make Dalwhinnie spirit as "sulphury and sharp", Donald explained how time in oak tamed these notes whilst leaving a big, bold and flavoursome whisky. Nose: Big rich fruity sherry. Apple, pear, nectarine, and rich fruitcake. Palate: Bold, rich and viscous. Nutty, sweet, cherries and toffee. 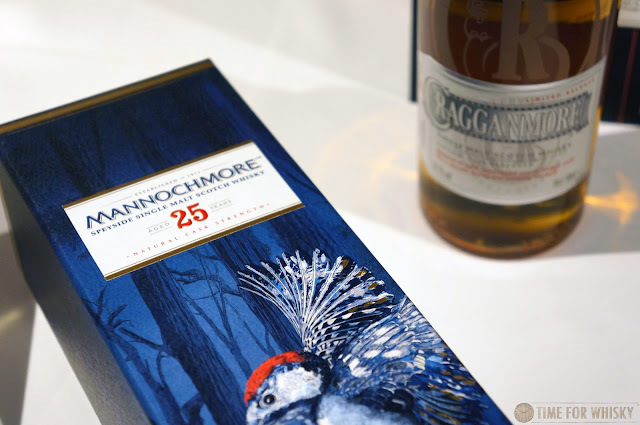 I was very pleased to see that even though this was the first single malt I ever bought, back in 2007 or so, I found it even more enjoyable that I did all those years ago. It was also a great match for the crab - each had big bold flavours and they bounced off each other brilliantly. 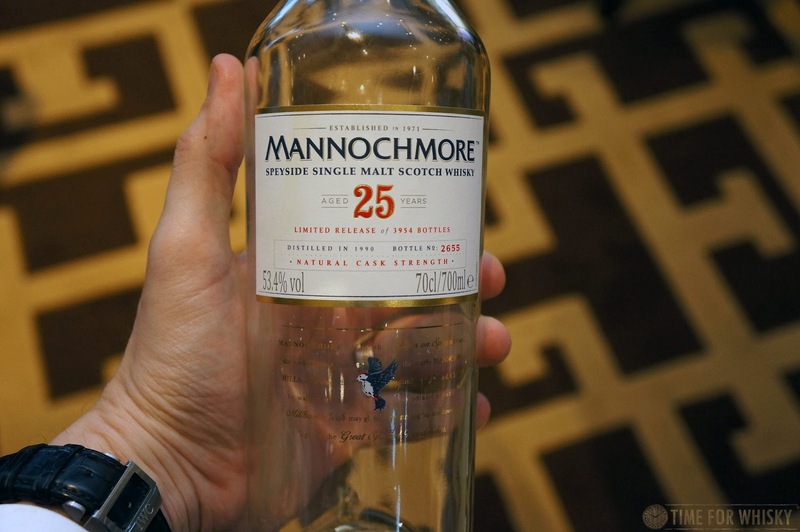 Next on the menu was the first of the Special Releases for the night - Mannochmore 25. I won't repeat the tasting notes as I tasted it in Singapore last year, but this as my highlight dram of the night. Paired with Braised whole abalone with Goose web and Chinese lettuce, it can't have been an easy match, but it held up well. Given how enjoyable this dram was on its own though, I found myself saving it for after the course. 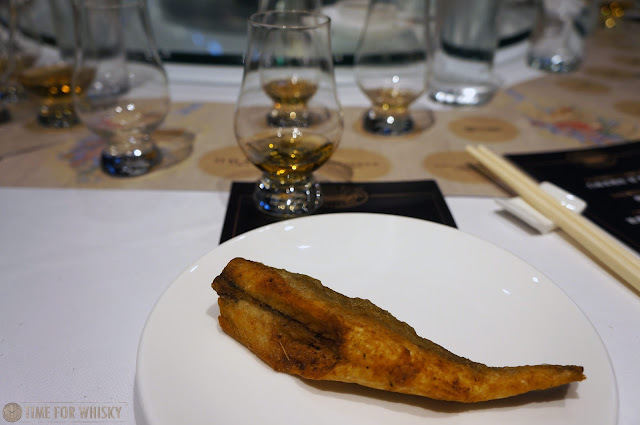 We moved over to Speyside next, for the Cragganmore 12, paired with Deep fried yellow croaker. 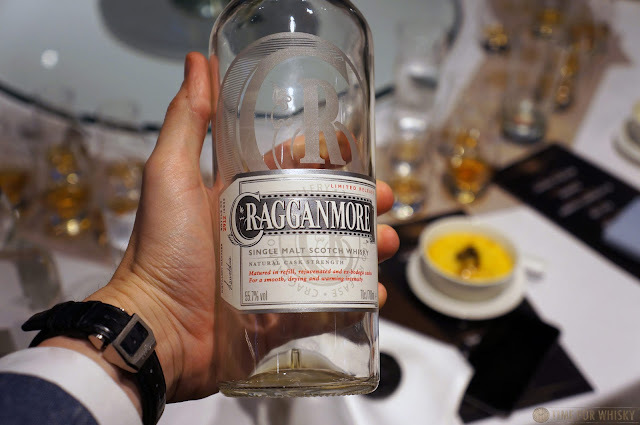 Donald explained how Cragganmore's still design (with its flat lyne arm) introduces complexity as the spirit hits the top of the arm, falling back down during distillation, and that complexity was certainly evident in both Cragganmores we tasted. Nose: Light, floral, with hints of toffee and stone fruits. Palate: Youthful, but with definite complexity. A mixture of walnuts, cherries, honey and toffee. Finish: Medium length, meaty but also sweet. Next was the only NAS of the night...and also the most expensive bottling tasted. The Cragganmore Limited Release (Special Release 2016) was clearly popular, as (by the time I got my hands on it a second time for the photo below) it was all gone. NAS it may be, but we were reliably informed it contained whisky from 8-9 years, right up to "older than Donald". Unfortunately I couldn't tell you how old that actually is...but judging by the complexity in the whisky, a decent age! Tasting notes can be found in my Sydney tasting post. Over to Oban next, for the classic Oban 14, paired with Stewed oxtail w/homemade sauce and red wine. Like Dalwhinnie, Oban also holds a special place in my whisky history, as the first distillery I ever visited (I also remember having some fantastic fish and chips near the distillery)! Nose: Sea spray soaked oranges. Palate: Fried scallops, sea air, salted fish and chips. One of those drams that transports you somewhere instantly - for me, to that little fish and chip stall right near the distillery. Rating (on my very non-scientific scale): 91/100. Even better than I remember. Nearing the end of the meal, it was time to take a trip down to peat town - firstly with Talisker 10. An old favourite that I hadn't revisited for a while, I'd heard some people claim the "new stuff" wasn't as good as the "old stuff". Thankfully, for me, with this bottle at least, that wasn't the case, and it was just as good as I'd remembered. 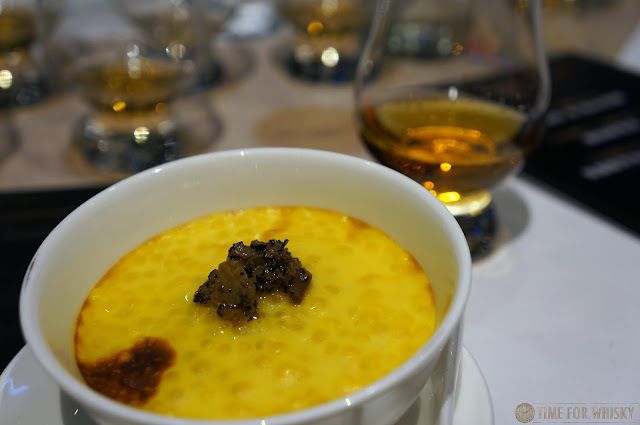 Paired with Ah Yat Signature Fried Rice, the saltiness in both the rice and the whisky complimented each other well. Palate: More sea air, some caramel, a meatiness, and a noticeable amount of peat smoke which wasn't as evident on the nose. Finish: Long, salty and malty. The last dram of the night, paired with an incredible Baked sago pudding with black truffle and lotus seed cream was (both predictably and delightfully) Lagavulin 16. A perennial favourite, I'll admit I was surprised to learn that it had never been officially imported into HK (especially considering it's available in my local supermarket). Regardless, it's good to know it is know officially available, and if that means we'll see more of it - that can only be a good thing. Nose: Earthy smoke with tinges of sherry sweetness. Iodine notes abound, in a wonderful way. Palate: Big BBQ meaty notes, lots of seaweed, fishnets, and seaside smoke. Plenty of sherry notes underneath all that peatsmoke too. Finish: Long, spicy and peaty, with a touch of vanilla. Rating (on my very non-scientific scale): 91/100. Fantastic to see this is still an excellent dram after all those years, and it has to be said - a really, really good match with the sago pudding (although I think it matched best with the black truffle inside the pudding). 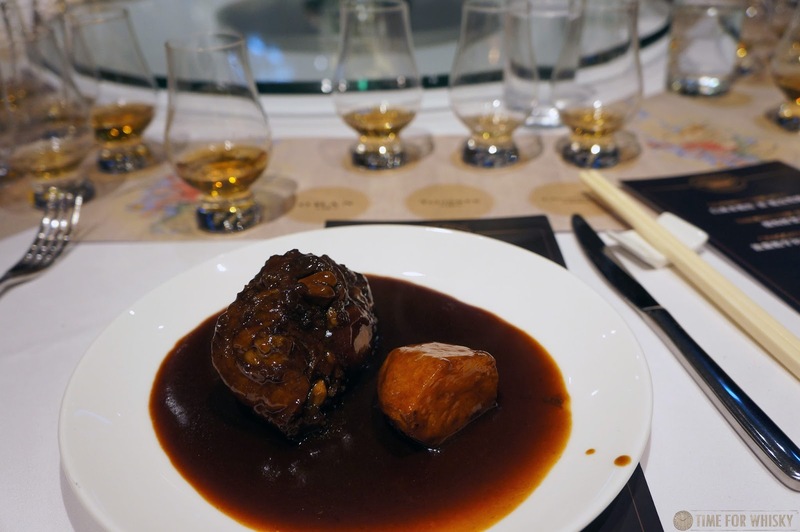 One thing this dinner highlighted for me was not only how versatile the Classic Malts range is (evidenced by the incredibly wide range of dishes they were paired with), but also how enjoyable they are on their own. The Dalwhinnie 15yo especially brought back memories (and was even better than I remembered), and Lagavulin 16 continues to be an absolutely world-class dram. A huge thanks to Moët Hennessy Diageo HK for a fantastic dinner, and a great trip down memory lane. The Diageo Classic Malts range is now available from all good whisky retailers in HK, whilst the Special Releases range is available from Moët Hennessy Diageo HK directly.